On page optimization has multiple factors, multiple tactics and even strategies that can be used to gain an advantage over your competition. Today I want to talk about YouTube video optimization and some things that I have noticed that work well and that we have automated into our Optimization Alpha tool. 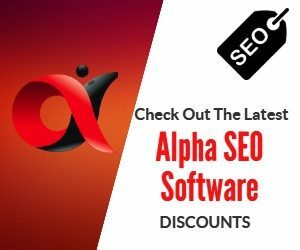 As Optimization Alpha has evolved we have also included WordPress SEO elements which I will cover later in the series. So let's consider first what we can accomplish with YouTube SEO. Personally I don't use YouTube with growing my channel subscriptions or ranking my videos as the main goal...Of course it’s a benefit when that happens, but for me it is a first tier link strategy to get a blog post ranking and drive social traffic to my web pages. You may have different goals and there is no denying that YouTube can drive a ton of traffic. It is the second largest search engine in the world. We want to rank both on YouTube and on Google to maximize our traffic and we want to encourage social sharing for even more traffic. So you should decide on what your own goals are first, and do keep in mind that YouTube videos rank extremely well in Google. Making sure your tags (keywords) are in your description and that your main tag is in the title. Having the keyword in the title early seems to help but that depends on other ranking strategies as it doesn't seem to matter when it comes to using user signals like we create with Vid Attack Alpha. Using one link in the description seems to help when using second tier links and user signals to rank whatever that link is above the video. Creating a compelling headline is crucial to increase click through rates from the search engines and by that I mean Google, Youtube and other search engines such as bing and even Pinterest. When creating your headlines it's important to include keywords that come from either quality keyword research (see my Content SEO course to learn how to do this) or from competitor analysis which we can do from Optimization Alpha. Using closed captions is important, it helps Google understand what your content is about and if you get your keywords in early it helps. YouTube descriptions can help along with the closed captions to get featured snippets for video and suggested clips snippets. This is not an exhaustive list, I think it's enough for today to get your thought process and creative juices flowing and in the next lesson we will go deeper into some of these and introduce other factors that you can take into consideration. And you can import keywords if doing keyword research from other tools like Long Tail Pro. The software will also score your optimization and suggest improvements. It has advanced RSS SEO tool built in and works too with 3rd party indexers and spinners. It has translation tools and transcription tools and you can edit transcriptions and reupload or use that for your closed captions and even for video descriptions or even for to create a spintax article. I think we can all agree that Optimization Alpha is a very powerful tool. It has had multiple additional features added since its first release in 2015 and it’s just had a major update for 2018. Watch out for tomorrow's tutorial where I will share with you the top ranking factors for video SEO.